Low water-pressure in Singapore is a huge issue. Your quick shower’ takes 20 minutes instead of 10 or you keep needling to pores of your shower to force the water to come out. Primarily the cause is because Singapore lacks natural freshwater lakes and rivers, and its only source of domestic water is rainfall. The demand for water is twice the annual rainfall and thus the extra water needed is imported from Indonesia and Malaysia. Certain measures has been taken to improve water conservation in Singapore, where consumption of 165 litres was reduced to 155 litres. Further measures involved the installation of the first desalination plant at the south western tip of the Singapore Island in Tuas. This beauty which is a product of Hyflux company cost around $200 million and is used to produce 30 million gallons of water each day to meet 10% of the country’s need. If you have simultaneously turned on a few water sources like your shower head, garden hose pipe, sink pipe, etc. then a little drop in water pressure is normal. 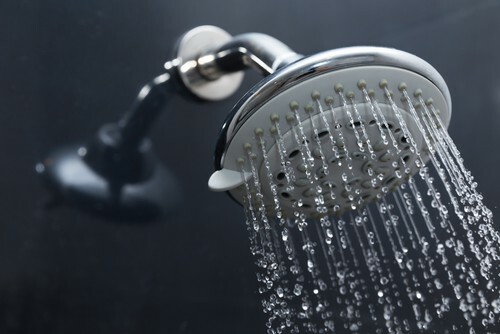 However if you are experiencing low water pressure using only your shower head then you are having a problem. The effect will be that, it will take longer time for the water to come out and you will end up doing tasks much later than first thought of. This problem can affect your pressure regulators, cause water leaks, peak period, and mineral deposits in pipes or home valves. 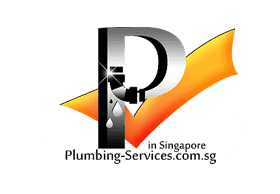 The water pressure in Singapore varies according to the elevation of the land. The Water Supply Department maintains minimum water pressure above 25m at mean sea level. So the height at which you live is responsible for your water pressure. Most private houses are not heighted more than 25m, so low water pressure is not an issue. But in high rise apartments (above 25m) you might experience low water pressure as height is more and water flow is restricted travelling upwards. An alternative is to have a different water tank installed where water can be taken and stored. This is a very simple and effective trick. Go to a store and buy a cheap shower head. Open the shower head, in it there is a washer that constricts the water flow. Just take a drill and enlarge the hole to a certain maximum size. This will increase the water flow and hence the pressure. In order to conserve water the Singapore government has releases regulations that restricts the flow of water. It states that no more than 2.5 gallons should be delivered in one minute. So for that reason, shower heads are made to deliver less than the actual flow of water. This is done by using the flow regulator, and your solution is to discard it. There are instructions available on the purchasing box for removing the flow regulator. The regulators are often made of brightly colored plastic that looks sort of “out of place.” You can refer the instruction or Google on how to discard the flow regulator. Which type of Shower Head do you use? Depending on your flow rate you should choose your shower head. Always choose a shower head which has holes placed apart at a distance which gives a stronger flow. If you are using a no-pressure reducing water heater then you can get the right pressure by doing a quick simple fix. Use a shower head which has small holes. Most home owners go for brand choosing the most expensive shower head thinking that it can provide a stronger flow. But the actual fact is that look for the design rather than the brand. Example: Tuscani Tapware. If the galvanized pipe is quite old then deposits build up in the pipe causing water to be blocked. Another cause of the low water pressure can also be incorrect pipe size. It is better to keep it at ” legs to fixtures with 3/4” trunk line. This is the most common dimensions used for the pipes. By using pressure controlling valves you fix a valve that allows a certain minimum amount of water to flow continuously. It does not allow water pressure to drop but maintains it to the minimum value. Just insert the valve in your shower-head. To adjust loosen the lock nut. There is an adjustment screw. If you turn the screw in a clockwise direction, it will increase the pressure thus effectively reducing the problem of low water-pressure. This valve is located near the PRV. This valve is responsible for the flow of water to all your water sources. It generally can be triggered off due to pressure variations. Make sure this valve is open because if kept closed it can turn off the water supply of the whole house and similarly effect pressure. Use a big pump that can handle a lot of pressure. Rotate the knob at the PRV to a certain value to increase this pressure. Note that you should not turn it up to its maximum value because your PVC pipes may burst. But using this pump draws water from neighbouring units which is illegal in Singapore. Alternative is to obtain permission if neighbouring units are getting far more water than necessary. Singapore experience low water-pressure in many homes. But you can check your valves to make sure that you are not the only one experiencing this problem. You can diagnose the problem yourself and try to resolve it on your own. Otherwise you can always use a professional help. There are some problems that is difficult to resolve yourself. 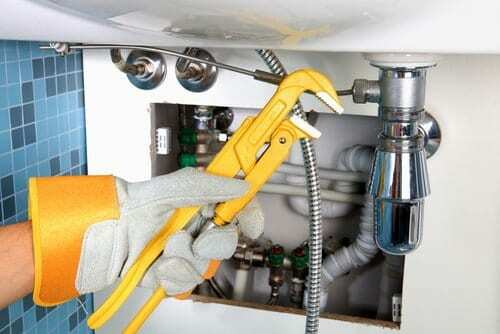 Major blockage problems, corrosion of pipes or major leaks are problems that are better left to the pros.